One of the top five oil paintings from the United States. 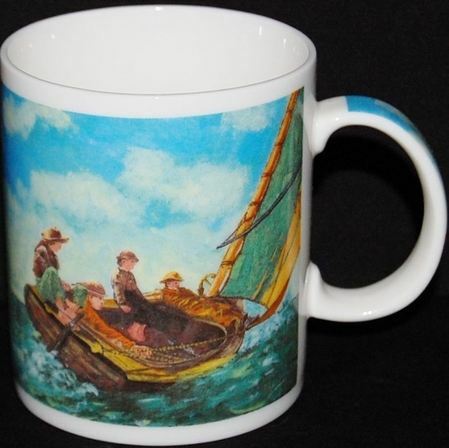 “Breezing Up” is a tribute to the great American pastime of sailing. Homer depicts the passengers of the boat as relaxed in their enjoyment of the wind stirring up the water. They appear to be in control of the small boat. This painting takes you into the best days of summer. Looking at this painting, you can almost hear the waves slapping against the boat and smell the briny sea breeze drifting across the water. Homer balances out the pitched sailboat with the schooner in the distance, filling the frame with action. This painting takes you on a visual voyage that has you wondering what lies beyond the borders of the canvas.